Pakistan is the sixth most populated country in the world. Ever since its independence from British rule in 1947, Pakistan has experienced several armed conflicts and wars. 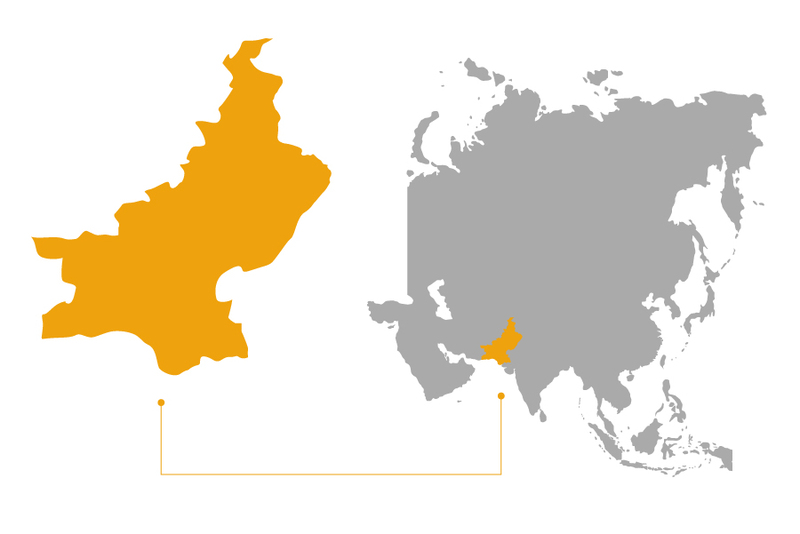 Despite being a regional economic and military power, the country struggles with much internal and regional conflict that has had devastating effects on the population. Poverty, illiteracy, corruption, and terrorism are the most challenging problems, and the ongoing territorial conflict with India causes instability and suffering throughout the region. Despite the complicated relationship between Pakistan and neighboring India, Indian certified trainers were invited by Pakistani community leaders to bring Play for Peace to Pakistan. While there was hesitation on both sides, when our trainers crossed the border in 2014, they were showered with rose petals and greeted with dances and songs in their honor. Since then, Pakistani mentors and trainers from India have taken part in several visits and trainings together. Common projects in Lahore and later in Kashmir—a heavily disputed region between the two countries—unfolded the true objective of Play for Peace: to create friendships across divides. 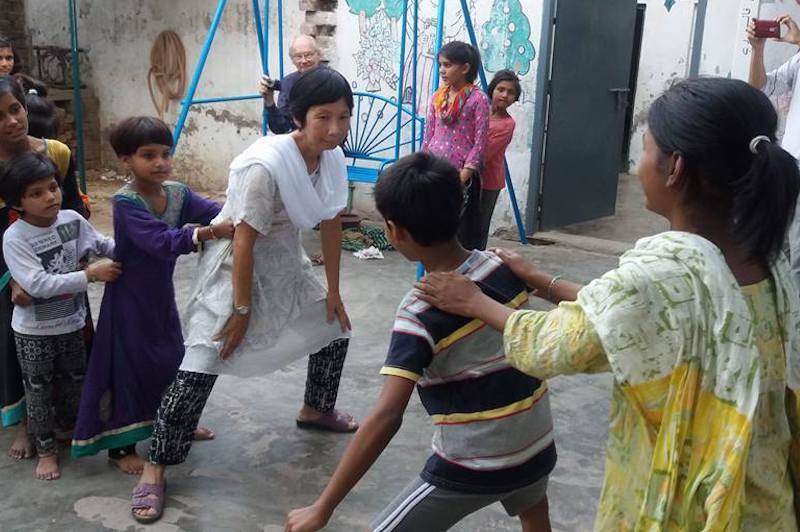 Play for Peace was invited back to Pakistan to work with children in local schools, as well as to train teachers and facilitators in collaboration with two organizations, the Starfish Foundation and Bounded Labour Liberation Front. Starfish then founded the first Play for Peace Club in the country. "Due to political instability and terrorism in our country, we often forget to laugh and enjoy ourselves. Arranging Play for Peace trainings in Pakistan—and seeing the participants smile and laugh—was the ultimate happiness." Sometimes, all you need are some photographs to remind you why we do what we do. The Starfish Club in Pakistan recently hosted a peace session at the Abba House, and the photos say it all. Play for Peace went to Lahore, Pakistan, for the first time in 2014. 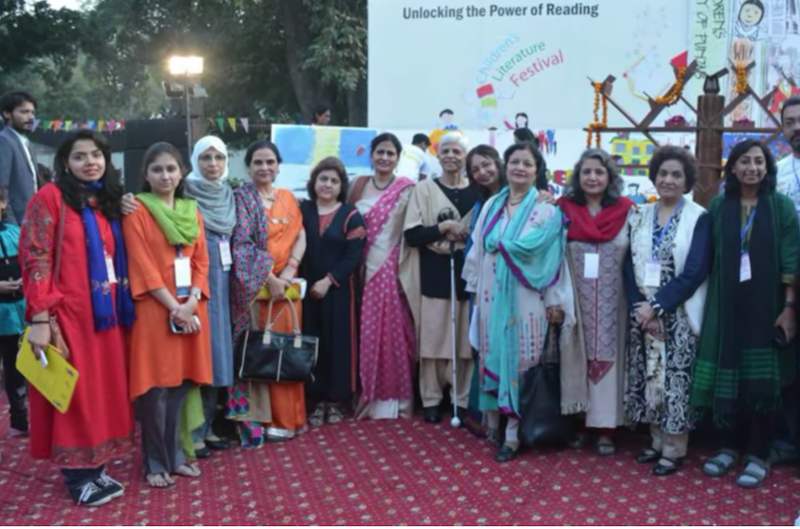 Trainers Swati and Agyat spent a fortnight there and were invited to the Children's Literature Festival to share Play for Peace with teachers and children.